Before his/her first fight, the athlete will check his/her weight with the Gi. There is only one opportunity to check the weight. If the competitor does not make his/her weight, they will be immediately disqualified. Please make sure that you are in the correct weight division. You can not change divisions ,if you do not make your designated division. No changes will be accepted in the tournament day, no refund. All athletes should fight and weigh-in with the Gi. 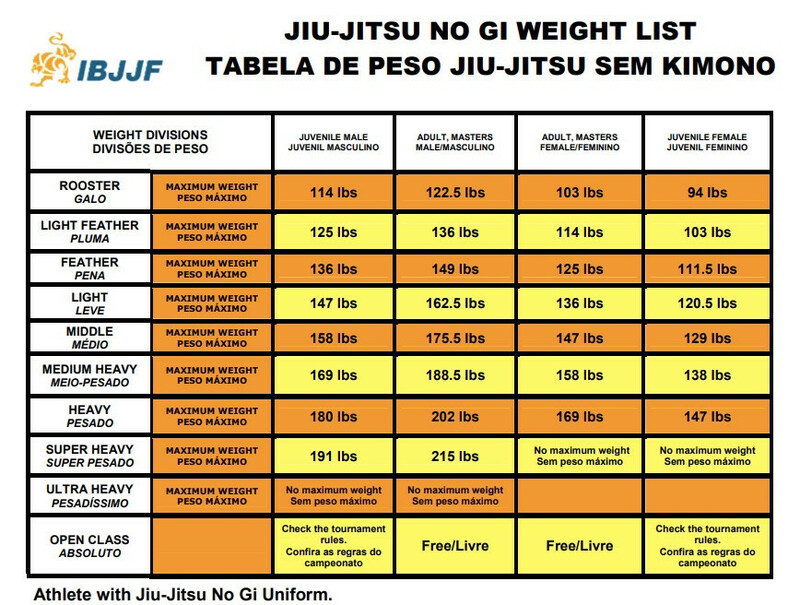 Before his/her first fight, the athlete will check his/her weight with the No Gi uniform. There is only one opportunity to check the weight. If the competitor does not make his/her weight,they will be immediately disqualified. 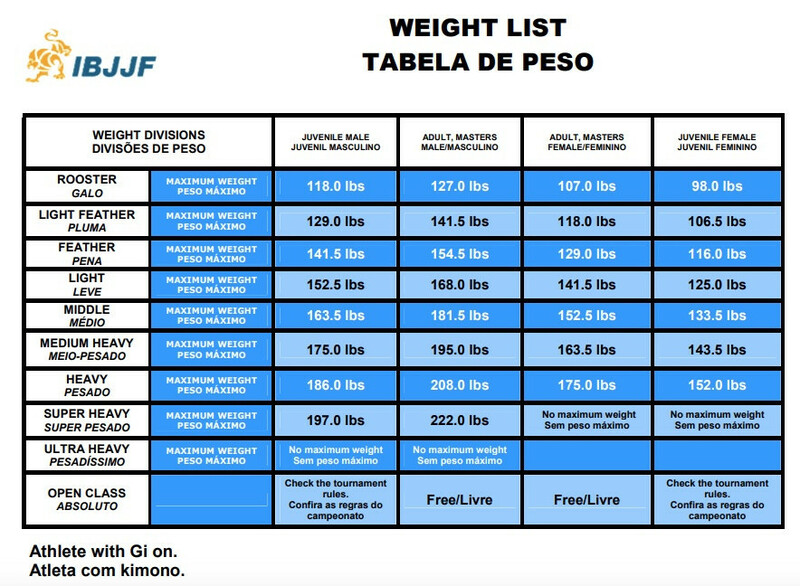 Please make sure that you are in the correct weight division. You can not change divisions ,if you do not make your designated division. No changes will be accepted in the tournament day, no refund. All athletes should fight and weigh-in with the No Gi Uniform.